What are Treatment Options for Myasthenia Gravis (MG)? Myasthenia gravis (MG) can be treated with drugs, surgery and other therapies – alone or in combination. What’s right for you depends on the severity of your disease, which muscles are affected, your age, and the presence of other medical problems. MG treatment also includes self-care: getting plenty of sleep, resting your eyes, pacing your activity, eating healthy foods, exercising, and managing your stress. Listen when your body says “that’s too much.” And cut yourself some slack. Recognizing your body’s signals can take some trial and error. There are two types of medications used to treat MG. One group—anticholinesterases—temporarily relieves the symptoms of MG. Another group—immunosuppressants—attacks the disease at its source. By suppressing the body’s immune system, these drugs stop the body from damaging the neuromuscular junction in the first place. Immunosuppressant treatments can have serious side effects. Doctors may prescribe one or a combination of these medications. It often takes time to determine the best medication and dosage for an individual patient. This is typically the first type of medication prescribed because it is has the fewest long-term side effects. It also is the most rapid-acting medication available. These drugs prevent the breakdown of acetylcholine—the chemical messenger that causes a muscle contraction. More acetylcholine generally results in greater muscle strength. Although anticholinesterase medication does not directly counteract the abnormal immune system attack in MG, they may partially or completely control MG symptoms in some patients. The most commonly prescribed medication of this type is pyridostigmine bromide (Mestinon). It’s available in tablet or liquid, and comes in a time-release form. The different forms vary in how soon and how long they’re effective. Acetylcholinesterases can cause stomach cramps and diarrhea; it helps to take them with bland food like crackers, applesauce or yogurt. Other common side effects include muscle twitching, muscle cramps and sweatiness. Sometimes these symptoms appear when too much medication is taken. If you have these symptoms, you should talk with your doctor to see if you should reduce your dose or vary when you take the medication. Immunosuppressants help prevent your body from producing the harmful antibodies that cause MG weakness in the first place. At the same time, they also reduce the body’s production of good antibodies—which makes you more susceptible to infection and other diseases. While you’re taking immunosuppressants, it’s important to avoid people with contagious diseases. You may need to avoid crowds and wash your hands often. The use of these medications must be monitored carefully by a physician because they may cause major side effects. Prednisone significantly relieves MG symptoms for a large majority of those with myasthenia. This drug is not as fast acting as anticholinesterases, but it is faster than other immunosuppressants, and it is relatively inexpensive. It resembles natural hormones produced by the cortex of the human adrenal gland. While prednisone can be very effective in treating myasthenia, it carries the risk of serious side effects; their severity depends on the dosage and length of time prednisone is used. These include insomnia, mood changes, weight gain, fluid retention, reduced resistance to infection, increased susceptibility to diabetes, high blood pressure, osteoporosis, glaucoma, cataracts, and stomach ulcers, plus a host of other less common side effects. Most of these side effects can be prevented or managed with other medication. It also is very important to “eat healthy,” following a well-balanced diet that is high in potassium and calcium and low in sodium, fat, and cholesterol. This can help prevent bone thinning, reduce fluid retention, and minimize weight gain, for starters. When you take prednisone, it stops the body’s natural production of adrenal hormones. Prednisone therapy must not be stopped suddenly; the dose must be tapered gradually to “reawaken” the body’s natural hormones. Other immunosuppressant medications. There are a number of other medications used to treat MG. Many were developed initially for organ transplant patients, or for treating other immune-related diseases. These include azathioprine (Imuran), mycophenylate mofetil (CellCept), tacrolimus (Prograf), methotrexate, cyclosporine (Sandimmune, Neoral), and cyclophosphamide (Cytoxan, Neosar). If one of these medications helps a person who has myasthenia, its use can eliminate the need for prednisone, or allow a lowering of its dose. These medications are complicated to administer. They can take months to become effective, the dosage varies from person to person, and each drug has its own side effects and drug interactions. Your doctor should go through the details of these medications with you. Monoclonal antibody therapies. These newer, and very expensive, therapies target very specific components of the immune system. Rituximab (Rituxan) is given as a series of IV infusions every six months, and is especially effective in the MuSK variant of MG. The treatment suppresses the immune system by reducing B-lymphocytes. Eculizumab (Solaris) is used for refractory generalized MG, and is given as a series of weekly infusions followed by every two week administration. This treatment prevents the immune system from damaging the neuromuscular junction, requires special precautions, and may be used together with other treatments. This type of therapy is explained in more detail in the cover story of our December 2018 newsletter. A thymectomy is the surgical removal of the thymus gland. The thymus—located in the upper chest behind the breast bone—plays an important role in the development of the immune system and is abnormal in about half of individuals with MG. Some individuals develop thymomas or tumors on the thymus gland. Generally thymomas are benign, but in rare cases they can become malignant. Doctors recommend thymectomies for individuals with thymomas, and for most patients under age 60 with moderate to severe generalized myasthenia. According to the National Institute of Neurological Disorders and Stroke, surgery reduces MG symptoms and may cure some people, possibly by re-balancing the immune system. This improvement, however, is unpredictable and may take several months or several years after surgery to occur. Recently-developed methods to remove the thymus gland have resulted in fewer complications and shorter recovery from the procedure. Watch Drs. Rowin, Meriggioli, Abdelhady and Giulianoti discuss MG treatments and thymectomy approaches. Purchase full-length DVD “Medical Management of MG/Thymectomy – Various Surgical Approaches“. Immune globulin therapy can be used to treat rapidly worsening MG. Immune globulin is a human blood product pooled from multiple donors who are carefully screened. By providing the body with normal antibodies from donated blood, IVIg treatments appear to temporarily modify the immune system. For most individuals, MG weakness typically improves within a week of treatment and lasts for several weeks or months. IVIg treatments are expensive and offer short-term relief from MG symptoms until longer acting immune modifying treatments are effective. Side effects—for instance, headache or allergic symptoms–are usually related to how fast the drug is administered. Slowing the infusion rate can help with this. IVIg infusions are sometimes repeated at monthly intervals to sustain the treatment effect. Plasmapheresis, or “plasma exchange,” is a procedure that removes antibodies—both “bad” and “good”—from the blood. Over several hours, blood is gradually removed through a special intravenous line, plasma which contains antibodies is separated off, and then the antibody-free blood is returned to the body along with a blood product called albumin to replace some of the proteins lost in the procedure. This treatment doesn’t affect the body’s ability to make more antibodies, and so the relief it provides is generally temporary. It also is expensive. Plasmapheresis is used for patients who have severe MG symptoms, or who need to improve strength before surgery. It’s also used periodically for those who don’t respond to other treatments. With plasma exchange, an individual typically gets stronger in several days; the treatment benefit usually lasts two to three weeks. Since the effects are often short-term, a series of treatments over a period of two weeks is usually necessary. Plasmapheresis involves removing large volumes of blood, which can lower the blood pressure and lead to dizziness or near-fainting. Allergic reactions – from fever, chills, and rash, to serious drops in blood pressure – may occur when donor blood products or plasma are given to the patient. This also may occur with administration of IV immune globulin (see above). MG can be fought with traditional medicine. But how else can you take a measure of control over your illness? Eat healthy. Like everyone, myasthenia patients should eat a healthy diet and maintain a healthy weight. This advice is critical for MG patients, because extra pounds make it even more fatiguing to get around and aggravate a host of other diseases. Talk to your doctor to see if a diet change will help ease medication side effects like fluid retention, bone loss or anemia. Exercise. It boosts your mood as well as the health of your heart, brain and cardiovascular system. Naturally you have to tailor your activity to your illness. For example, when your disease is not well controlled, walking with assistance may be something to aim for. Exhaustion or shortness of breath means the exercise is too strenuous. As your MG improves, gradually add activity such as yoga, chair exercise, isometrics or more walking. Small progress is better than no progress! Manage stress. Consult with your doctor and consider options such as acupuncture, biofeedback, meditation, or massage therapy. Get outdoors. Researchers have found that people can improve their mood with a short time of outdoor exercise like walking or gardening. Pretend you’re outdoors. Listening to recorded nature sounds can be very relaxing. Talk to others. Combat isolation by calling friends and family. Or contact a support group. Trust your spiritual side. For many, dealing with illness can be a conversation-starter with God. Sunders, et. al., International consensus guidance for management of myasthenia gravis. Neurology 2016;87:1-7. Jeffrey M. Statland and Emma Ciafaloni, Myasthenia gravis: Five new things, Neurol Clin Pract 2013; 3;126-133. Richman DP and Agius MA, Treatment of autoimmune myasthenia gravis, Neurology 2003 Dec 23; 61(12):1652-61. The Practical Guide to Myasthenia Gravis by John C. Keesey, M.D. and Rena Sonshine (published 2012 by the Myasthenia Gravis Foundation of California. The Myasthenia Gravis Fact Sheet published by the National Institute of Neurological Disorders (updated February 19, 2016) and retrieved April 27, 2016. Nils Erik Gilhus, Advances in the Treatment of Myasthenia Gravis, Future Neurology, 2012; 7(6):701-708. Díaz-Manera J1, et al., Long-lasting treatment effect of rituximab in MuSK myasthenia, Neurology. 2012 Jan 17;78(3):189-93. Zebardast N.. al., Rituximab in the management of refractory myasthenia gravis, Muscle Nerve. 2010 Mar;41(3):375-8. Information about MG treatments is of a general nature. It is not intended to be medical opinion, nor is it a substitute for personal professional medical care. Information about supplemental therapies was abstracted from The National Center for Complementary and Alternative Health Care (NCCAM) website and other health information websites. 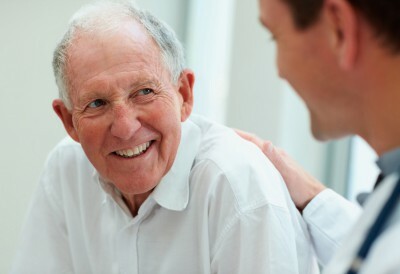 Information about supplemental therapies is of a general nature, composed by non-medical personnel. It is meant to be accurate and helpful advice for MG patients. It is not intended to be medical opinion, nor is it a substitute for personal professional medical care. Reviewed by the Conquer MG Medical Advisory Board, January 2019.